My mom is an amazing cook (who isn’t ready to share her recipes yet). 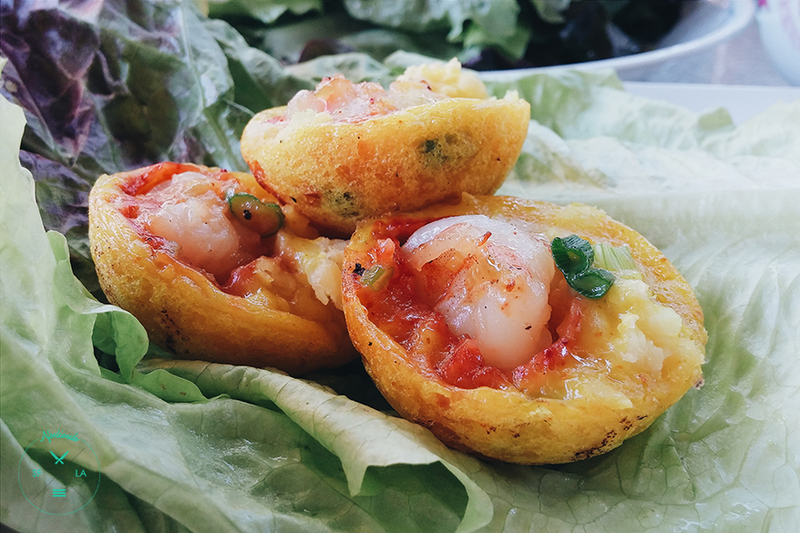 One of my favorite dishes is a Vietnamese dish called banh khot. If you have ever had one of the big yellow Vietnamese crepes, this is like it’s bit sized brethren. Instead of me spending money on a handful of these little guys my mom found a way to make them at home so I could binge for the fraction of the price. She started with a cast iron skillet with the little cups in it, then she found a better way. She bought a doughnut hole maker, and used THAT to cook the banh khot without the danger of searing her fingers on the cast iron handle and burning the banh khot because the skillet got too hot or didn’t sit on the burner correctly. BRILLIAAAANNNTTT!!! She will never know how proud I am of her, no matter how much and how hard I try to express it to her. I get my interest and passion for cooking from her, and while she may hate it. I’m thankful for it. That food looks really yummy. Thank you! My mom would be flattered!